Your personal driver will wait for you at the pier, sit back in our comfortable car and enjoy your drive towards Florence in approx 2 hours. Driving up the beautiful Viale dei Colli, we reach the marvellous terrace called Piazzale Michelangelo (named after the artist who sculpted the original David statue). Here you get the most impressive view of the city. Nearby you can also see the white and green marble façade of the S. Miniato al Monte church – one of the purest examples of the Florentine Romanesque style. After leaving the church, we follow an uphill road, bordered by the ancient city walls, until we reach Forte Belvedere, built around 1590 by the Grand-duke Ferdinand to protect the Medici villas. Driving down from the Fort, passing the old gate to the city, the Porta Romana, we come Pitti Palace , which hosts many galleries and museums (Gallery of Modern Art, Costume Gallery, Palatine Gallery, Royal Apartments, Coach Museum, Silver and Porcelain museums, etc) and a magnificent park called the Boboli Gardens. For the shopping lovers or the hungry soul, there are also many shops and “trattoria” to dive into, so everyone in the group can satisfy their desires whether it be a smart leather jacket, or a scrumptious plate of pasta! Few cities of comparable size can boast such a profusion and variety of high quality goods with Italian design. The most important street for shopping is Via De’ Tornabuoni with designer boutiques like Prada, Gucci, Armani, Ferragamo, Valentino, Vuitton, Damiani, Cartier, Trussardi, Eleuteri, Buccellati, Coveri, Versace, Tiffany, YSL, Zegna, Desmo, Chopard, Tod’s, Cavalli etc. We can also see what the local craftsmen have to offer in the small local workshops in the Santa Croce or Santo Spirito neighborhoods, or practice your bargaining skills at the San Lorenzo outdoor market. Meet the driver at the agreed time and start the journey to the port of La Spezia. 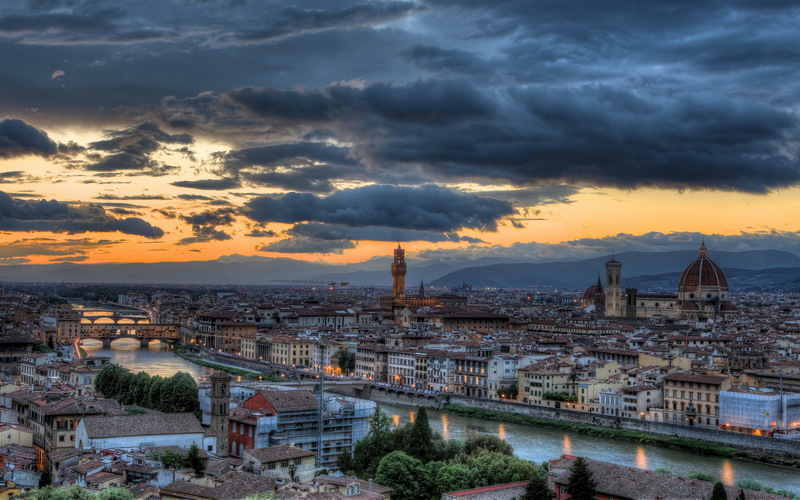 If you want to learn more about Florence you can hire a professional Tour Guide for 3 hours. To visit the Accademia or Uffizi musuem in Florence is highly recommended to reserve tickets and skip the line! If interested ask to our booking office how to do it.